Are you constantly looking for new tools to make the dentistry portion of your practice more efficient and cost-effective? We offer two dental products that can help you do both. 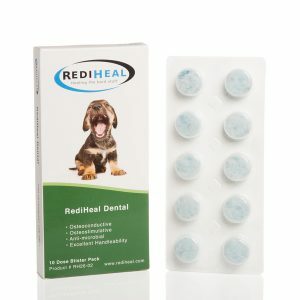 Our RediHeal Dental, a borate-based biological glass which contains unique trace elements, promotes strong angiogenic, osteogenic and osteostimulative responses. Even better, it comes in an easy to use, cotton candy-like form that’s easy to pack into extraction sites – no more mixing or messy particulates. PoliPhase Sealant is a resorbable, two component biopolymer which, when combined, readily flows into a tooth socket, creating a flexible plug. It provides protection to the socket, keeping foreign matter out while immediately controlling bleeding at the site.